If the relationship between the UN and the tech world is one you’ve never considered, you’re probably not alone. Judd Smith draws a line from time honored social institutions to cutting edge tech companies that not a lot of people are talking about. At least not yet. She believes that these companies would greatly benefit the United Nations, if they were willing to get involved and that the UN can only remain relevant if they adapt. Of course, that’s the over-simplified version. Meta-Nets play a big part in United Nations Unlocked as do various leadership models and strategies. 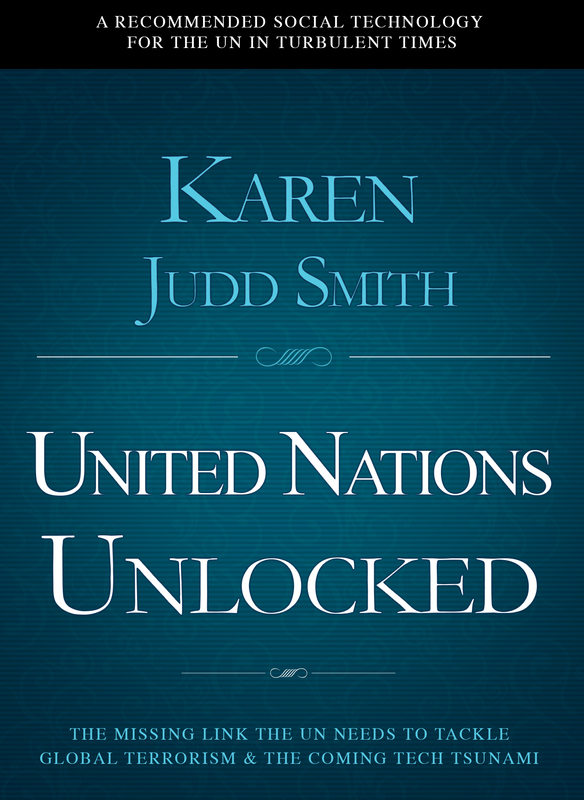 Judd Smith’s desire to save the UN from obsolescence is clear and a partnership with tech companies makes a lot of sense, as unlikely as it may seem before being dug into. You will definitely find yourself thinking, “I never thought of that!”, but it is that thought-provocation that will ensure further discussion. 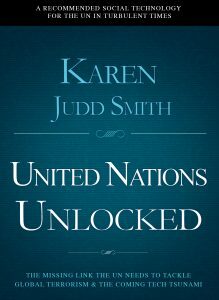 United Nations Unlocked ends with a series of letters to various officials, which are eloquent and inspiring, but a bit confusing as they are addressed in an intro directly to the officials and not the readers. “Can I send one?” you might ask. “Was this book for them and not for me, the average reader?” That would explain the highly technical language, but the intention of the book as a whole is to start a conversation and send out a call to action, which it achieves ten-fold.